Australia is one of the best places to live in the world by all indices of income, human development, healthcare and civil rights. It is the earth’s biggest inhabited island and the sixth largest country in the world. In total area is 32 times the size of the United Kingdom. Today, Australia is one of the world’s most multicultural countries. Over a quarter of Australia’s population was born overseas. This awesome country has 10 percent of the world’s biodiversity, and there are a number of native plants, animals and birds that don’t exist in any other part of the world. The majority of Australia experiences temperature weather for most of the year although northern states are typically warm and the southern states experiment cool winters with snow on the higher mountains during the winter enabling skiing in New South Wales and Victorian ski resorts. 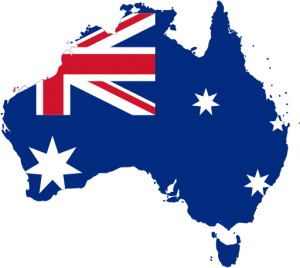 Australia is a constitutional monarchy with a federal division of powers. It uses a parliamentary system of government with Queen Elizabeth II as the Queen of Australia. The Australian health system comprises a mixture of public and private service providers. Almost 70 % of the total expenditure of health in Australia is funded by Government. The other 30 % is supported by State, Territory and Local governments. The Australian Government mainly contributes via the two national health subsidy schemes, the Medicare Benefits Scheme and the Pharmaceutical Benefits Scheme. The private health system is a major provider of hospital services, and assists to lessen the demand on public hospital services. It is regulated by The Private Health Insurance Administration Council. The Australian Government provides a subsidy of approximately 30% to individuals who purchase private insurance. Further incentives include The Private Health Insurance Rebate, The Medicare Levy Surcharge and The Lifetime Health Cover. Life expectancy in Australia in 2011 was 79.7 years for males and 84.2 years for females. It represents the sixth highest life expectancy in the world after Iceland, Switzerland, Italy, Sweden and Israel. The main causes of death in Australia are different according to the age. Overall, deaths from chronic diseases have a place more prominent among people aged 45 years and over, while leading causes of death among 1-44 years are external, such as land transport accidents and suicides. Coronary heart disease is the most common cause of death in Australia for people over age 45, followed by cerebrovascular diseases, cancer, dementia and Alzheimer disease and respiratory diseases. Deaths by suicide and traffic accidents are the leading cause of death among people 1-24 years and 25-44 years respectively. Australia is a safe country by international standards. However, it is important to take precautions as you would in your own country. Crime rates vary from region to region, so if you are especially concerned about crimes, compare crime rates and choose a region or neighborhood with a low crime rate. Burglary is abundant in Australian cities, particularly in Sydney where 500,000 cases are reported each year. Take special care in big cities especially in crowded places where there are usually pickpockets and opportunistic, so keep a close eye to your belongings. Rarely there are incidents of violent crimes in Australia although they have slightly increased in the last decade as in the majority of developed countries mainly due to alcohol consumption. Due to this the authorities have taken energetic measures against alcohol consumption and many streets and beaches are declared ‘alcohol-free zones’ (shown by signs). Overall you can walk anywhere in Australia at any time of the day and night. – Air: It is the best way to travel long distances in a short time. The national airlines of Australia (Virgin Blue, Rex, Qantas, Jetstar) operate in all capital cities and regional centres. Competition guarantees reasonable prices. – Car: Highways in Australia claim to be in very good condition. Some routes are the most beautiful in the world as for example from Sydney to Brisbane, a tour of the Great Ocean Road or the Red Centre on a fantastic journey by car through the desert. – Bus: Travelling by bus is comfortable, simple and cost-effective. The national operator Greyhound offers tickets that fit all budgets. – Train: It is a comfortable, affordable and scenic way to explore Australia. Countrylink trains connect New South Wales destinations and allow to travel along the coast to Melbourne, Brisbane and Canberra. Vline trains connect Melbourne with Victoria, Traveltrain operates in Queensland and TransWA flows through the State of West Australia. ​Australia offers also epic journeys as The Ghan and the Indian Pacific that cross the continent offering comfort and an idyllic setting of yesteryear. – Public transport: All the capitals of Australia boast a wide variety of public transport such as buses, trams, ferries, monorail, light rail, etc.